Universities have been warned against "complacency" over standards, in a review commissioned by the Higher Education Funding Council for England. The report calls for reforms in the system of external examiners and the university watchdog, the Quality Assurance Agency (QAA). It follows a highly-critical report from MPs which said there were inadequate safeguards on standards. 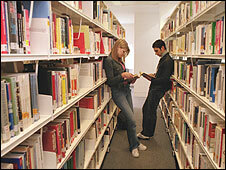 Higher Education Minister David Lammy said "quality measures must change". The review from University of Essex vice-chancellor Colin Riordan calls for much greater transparency in how degree standards are maintained. Professor Riordan says the QAA must be "more public facing and less inward facing" and make information about courses and universities much more widely available to students and parents. The university watchdog was badly mauled by a select committee of MPs which called for it to be replaced by an independent body charged with maintaining academic standards. The MPs concluded that there was no clear way of establishing the relative value of degrees and that "inconsistency in standards is rife". But Professor Riordan says there is "no systemic failure in quality and standards" and argues that the QAA should be maintained but improved to be "more flexible and responsive". Professor Riordan wants to improve public confidence in the findings of audits carried out by the watchdog. "It provides very broad judgements... which are of limited use for a wider audience." The review on standards calls for a "complete review of the external examiner system", which Professor Riordan said was "clearly under strain". This is the system by which academics are asked to verify standards in other institutions - and is used to make sure that standards are comparable across higher education. But the review says external examiners might not have sufficiently wide experience, can lack a clear role and need an independent place to take concerns. It also reports allegations of examiners being put under pressure to pass students. Universities UK, the lobbying group for higher education, is to lead a year-long review of the external examiner system, along with the QAA. Higher Education Funding Council for England (Hefce) chief executive, Sir Alan Langlands, welcomed the report and said that the current arrangements provided sufficient public accountability. The government is to begin a review of the future of higher education in the autumn. "Higher education continues to change and evolve and our quality measures must change with it, we must never be complacent," said Mr Lammy. Dr Wendy Piatt, director general of the Russell Group of leading universities said the report was a "serious and constructive approach" to the debate on quality and standards. "Our institutions are working hard to provide more information on what students can expect from their courses in terms of private study, lectures and assessment style," she said. "A number of our institutions have established partnership agreements with students to ensure they are clear as to the kind of learning experience the university offers and the amount of self-directed study required." Paul Marshall, executive director of the 1994 Group of universities said: "Any concerns about the quality and standards of the education we provide must be taken extremely seriously. "We recognise that more must be done to improve public confidence in quality and standards." The National Union of Students' vice president for higher education, Aaron Porter, said: "Institutions should be more strictly held to account for the information they provide to applicants. "We would like to see a more structured system, whereby applicants can compare the genuine merits of different courses and institutions much more easily. "It is in everyone's interest that students end up choosing the course and institution that best suits their skills, potential and interest."